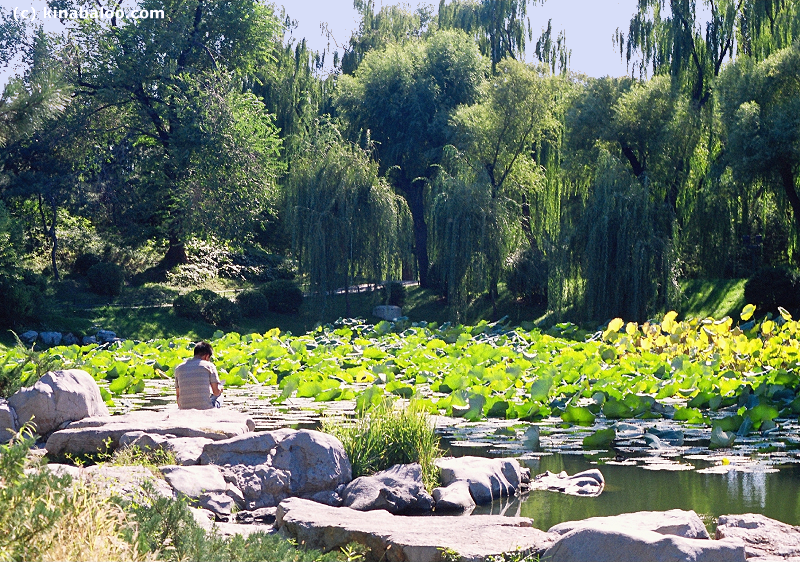 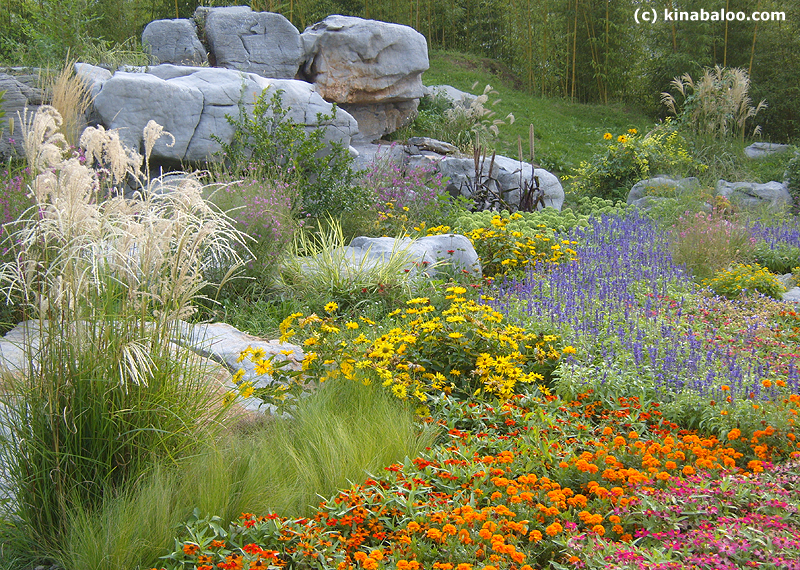 The Purple Bamboo Park, also known as the Black Bamboo Park, although purple is the direct translation, is a large park of 14 Hectares just to the west of Beijing Zoo and the National Library. 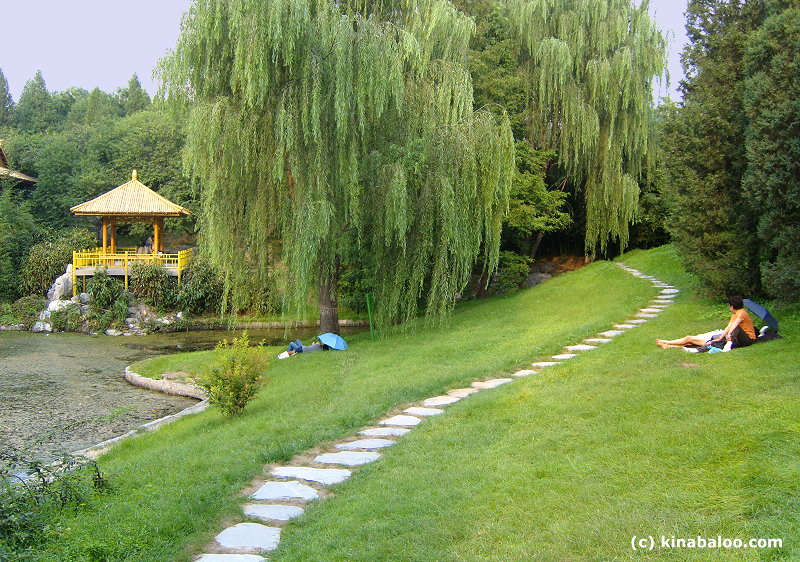 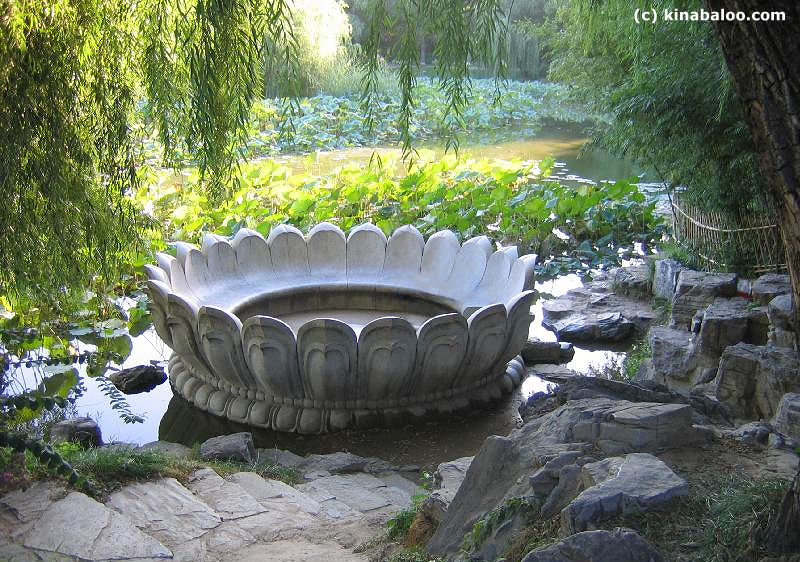 It has three connected lakes with two islands, lotus flowers, small hills, streams, bridges, pavilions, rock gardens and about 50 varieties of bamboo. 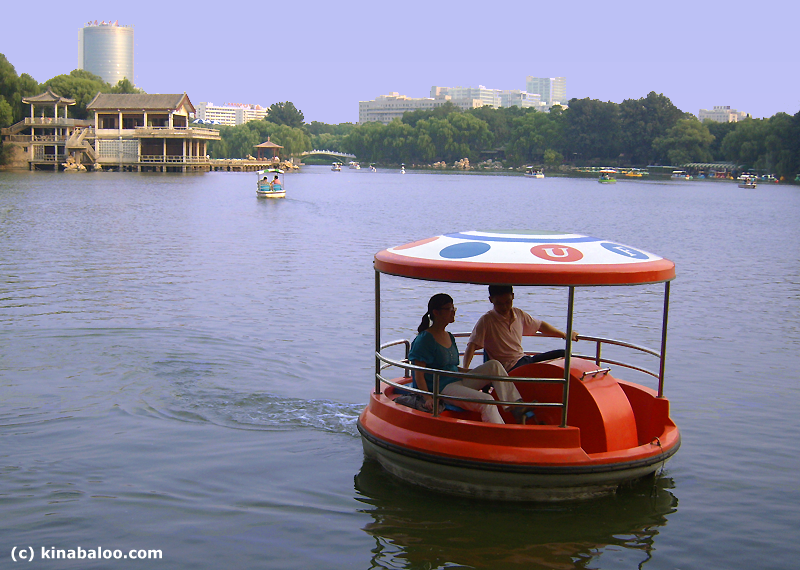 The Bamboo Park also features boating, play and exercise areas, teahouses and cafes, and a small crafts market. 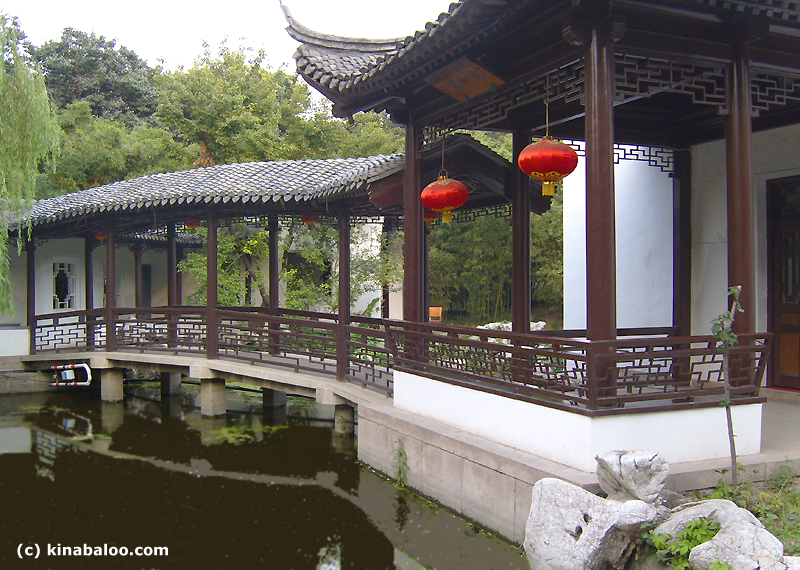 This location has a long history. 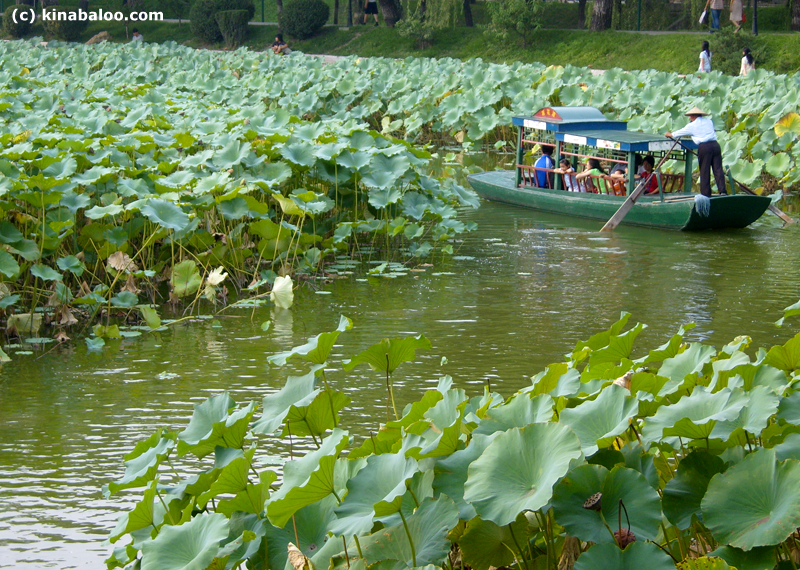 The lakes here were created as reservoirs during the Yuan Dynasty. 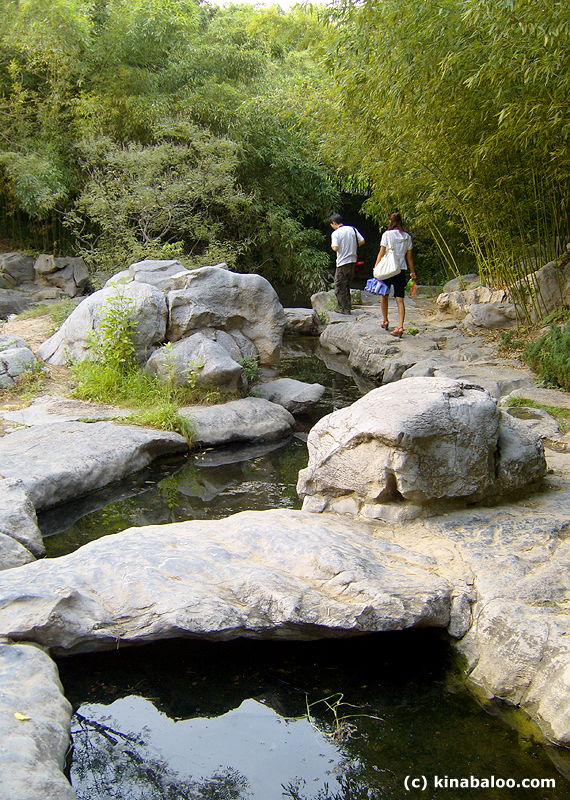 Later, a temple (WanShouSi, the Temple of Longevity) was added during the Ming Dynasty but that has long since disappeared; only two stone steles remain, and traces of a boat dock on the river edge (north west of the park). 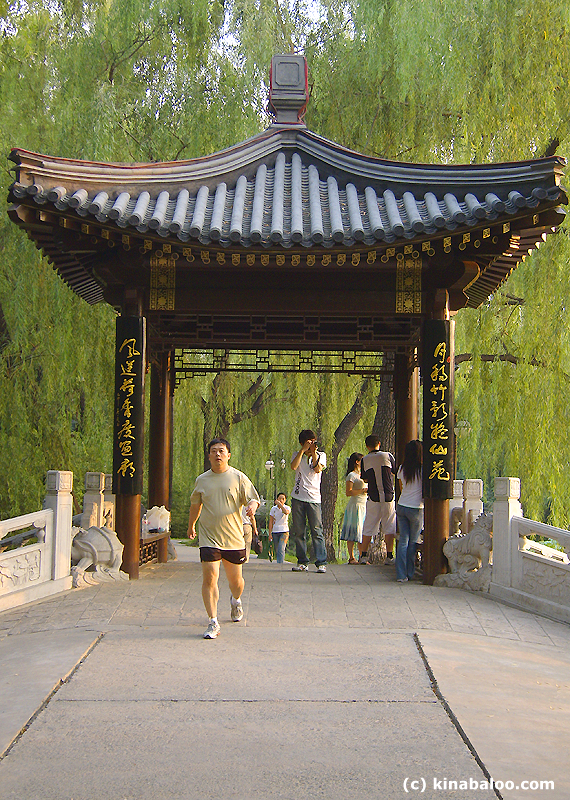 Don't forget to visit the north east section across the ChangHe River, where pleasure boats to the Summer Palace pass by; this is the most charming area of the park.